Every year has its unique moments. However, 2012 will have a distinct place in history for several reasons. It was the year in which badminton suddenly got into the news for all the wrong reasons, and at the most inopportune time – the Olympics. Four teams were disqualified from the Olympics for underperforming; the sport suddenly came under global media scrutiny, and for a while the on-court action was ignored. But things returned quickly to normal towards the business end of the event, and badminton managed to escape relatively unscathed. It was also the year that saw the fading away of some of the titans of the sport. Peter Gade, after a career of a decade-and-a-half, finally called it a day at the French Open Superseries. His longtime opponent Taufik Hidayat too slowly edged towards retirement – the Indonesia Open next year will his last. We have also possibly seen the last of the Korean left-hander Lee Hyun-il, who played such a mesmeric quarterfinal match at the Olympics, but failed to win a bronze medal. In the doubles, we bid goodbye to the wonderful Jung Jae Sung, who was a favourite for the Olympic gold in the men’s doubles, but had to return content with a bronze. The women’s side saw the retirement of the veteran Dutchwoman Yao Jie. The countdown for the retirement of two-time All England champion Tine Baun too has begun. 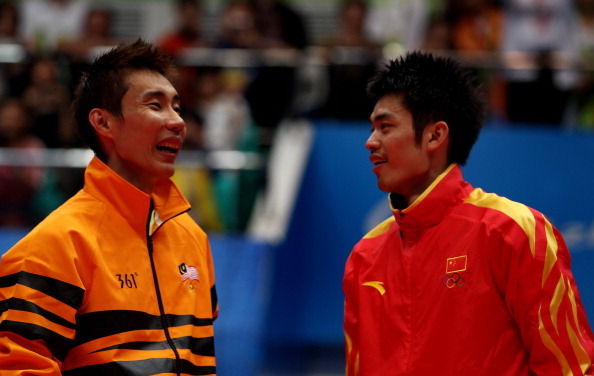 Match of the Year: The Olympic men’s singles final between Lin Dan and Lee Chong Wei. The Chinese defending champion had gone into the Olympics with relatively little match practice, but his principal opponent – Lee Chong Wei – was worse off, having suffered a serious ankle injury during the Thomas Cup three months earlier. For once, the pressure was off Chong Wei, for his injury meant he had little time to prepare. Yet, the Malaysian came up with a lion-hearted performance, first beating Chen Long in the semifinal, and then nearly taking the gold away from Lin Dan. Chong Wei has none of Lin Dan’s big weapons, but he was brilliant on the day, firing smashes with accuracy, returning the Chinese’s thunderbolts, and manoeuvring the shuttle all around court. With a 19-18 lead in the third game, he had almost made it, but a midjudgement at the baseline gave the serve back to Lin Dan, who grabbed the next three points and ran all around Wembley Hall. Lin Dan might have won the Olympic gold, but Lee Chong Wei is my Player of the Year. Lin played eight tournaments all year, and none since the Olympics. Chong Wei played 12, but it is not just that he played four more tournaments. He was in action at the Hong Kong Open a week after his wedding – which gave the event a dream match-up in the final against Chen Long. Unlike lesser stars who constantly complain of the rigours of the tour, Chong Wei participated in most of the Superseries, winning five, and ending runner-up of four. Truly a remarkable character! To put things in perspective: one of the most successful doubles players of 2012 was Ma Jin, who won six successive Superseries titles (four Mixed – with Xu Chen — and two Women’s Doubles, with Tang Jinhua) in a dream sequence after the Olympics. Now, even the formidable pair of Xu Chen/Ma Jin were no match for their compatriots Zhang Nan and Zhao Yunlei – they won just two matches out of 13 encounters! Zhao Yunlei is the difference between the two teams. Steady, powerful, and intense – she and Tian Qing were saddled with the task of ensuring the first gold medal for China on the finals day of the Olympics – and they did not disappoint, holding off a strong Japanese challenge in the second game to erase the effects of badminton’s biggest scandal. In mixed doubles with Zhang Nan, and women’s doubles with Tian Qing, Zhao Yunlei racked up some impressive wins through the year – including a double gold at the Olympics, the Hong Kong Open, and the Asian Championships! Not very pleasing to watch, but blessed with a big heart, Du Pengyu reached four major finals but could not make it past the final hurdle. His unwillingness to give in is apparent, and he will be a handful for any player in the coming year. Might establish himself in the top-five, giving China so many options. The 18-year-old won the Japan Open Superseries in such majestic style that she seems headed for greater glory. Clever, crafty, and possessor of some unique strokes – the Chinese Taipei girl has already beaten some of the best in the business. 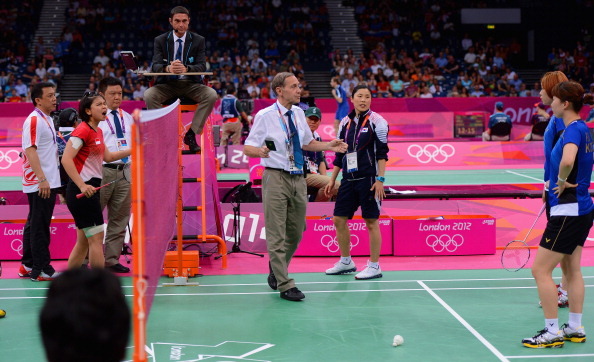 Defining Moment of the Year: When the crowd started to boo off a Chinese and Korean pair mid-way through the Olympics, hardly did we imagine it could lead to the sort of soul-searching and controversy that badminton had ever seen. The next day the press conference room at Wembley Hall was packed with reporters from all over the world, as the BWF announced the disqualification of four women’s doubles teams. For a while it seemed as if the controversy would indelibly ink badminton in poor light, but the sport soon recovered thanks to the timely intervention of the sport’s ruling body.